Jackson, MS, July 19, 2012 -- Jackson architectural firm Duvall Decker Architects, P.A. took home three design awards given by the Mississippi chapter of American Institute of Architects (AIA) during the AIA Mississippi annual convention in Sandestin, FL. The AIA Mississippi jury was led by architect Marlon Blackwell, FAIA, principal of Marlon Blackwell Architect, a nationally renowned practice based in Fayetteville, Arkansas. The Jury awarded one citation, two merit, and two honor awards from numerous entries across the state. The recently completed Jobie L. Martin Classroom Building at Hinds Community College in Jackson, Mississippi, received the AIA Mississippi Honor Award, as well as the Sambo Mockbee Membership Award, which is awarded by a vote of AIA Mississippi membership. The 18,800 sf laboratory and classroom building on the Academic Technical Center campus of Hinds Community College in Jackson, Mississippi was designed to accommodate campus growth, and be economical, durable, energy-efficient and functional. It includes six standard classrooms, biology and chemistry laboratories, faculty offices, and study areas. The Oak Ridge House was also recognized with an AIA Mississippi Honor Award. This private residence was designed to meet individual needs while encouraging the family to be together, to take advantage of Mississippi’s wonderful environment, to interact with friends and family, to have a private respite, to work at home, to be healthy, and to be energy efficient. This single family, three bedroom home, with open living/dining space and detached screen porch and pool, is shaped to draw the outdoors in and lure the family outside. The design comfortably accommodates daily living patterns and is durable and ecologically sensitive. Also honored with awards this year were Gulf Coast Community Design Center, Eley Guild Hardy Architects, and Unabridged Architecture. The AIA Mississippi Design Awards Program seeks to encourage excellence and elevate the quality of architecture by recognizing and honoring works of distinction by its members and bring to public attention outstanding examples of architecture and design. Duvall Decker Architects, P.A., a Jackson, MS based architecture and planning firm, has received numerous local, regional and national awards for design excellence. The firm has completed multiple educational facilities, public buildings, and affordable housing complexes. 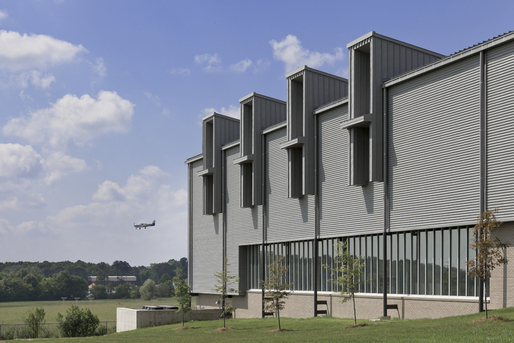 Current commissions include academic facilities for Hinds Community College and Alcorn State University, a library renovation for Mississippi Valley State University, and housing/urban development for multiple partners in Jackson, MS.
Duvall Decker’s work consistently considers the public aspects of the built environment to produce buildings durable in both material and memory. For information on Duvall Decker Architects, contact Roy Decker at 601.713.1128 or visit online at www.duvalldecker.com or www.facebook.com/DuvallDeckerArchitectsPA. That Oak Ridge house is beautiful. Many Congrats! Always inspired by your work. The building blends well with nature, Amazing.